When your institution or business is growing, it follows that you employ a good number of people too. And when your number of employees increase it would be taxing on the part of the one’s handling personnel monitoring, compensation and benefits to calculate figures manually. Not only that manual system is prone to errors, employers will also be forced to permit overtimes to cope up with deadlines and delays causing additional outlay on the company. LINE 24 SOFTWARE offers a comprehensive and cost-effective, basic to enterprise level HUMAN RESOURCE INFORMATION SYSTEM (HRIS) AND OR PAYROLL MANAGEMENT SYSTEM. Our full-cycle system helps both employers and employees generate trouble-free compensation/benefit schedules, reports, employment status and many more features necessary to smoothen the operation of this department. Unlike many other systems where you are constrained to a limited number of program users, Line 24 Software system allows you to operate it with an infinite number of users. Hence, you’re not tied down with few if and when your business grows, or when your number of people increase and or you have plans to expand. Unreal time or scheduled uploading of clocking and attendance data from digital bundy clocks is what most systems do. Line 24 Software integrates this process to the system allowing real time recording of employees’ clock-in and clock-out status. Hence, real-time monitoring and updates. Line 24 Software offers a comprehensive coverage when it comes to employment data factors. It automates deductions, additions, loans, leaves, government contributions, and many other necessary features that are within the bounds of company’s policies and parameters. And since Line 24 Software is a custom software company, we customize any other add-ons when indispensable. Training is important for your workforce. This will not only benefit employees, this will also improve productivity of the company. Line 24 Software HRIS system allow your HR department to easily track, monitor and manage all aspects of employee training. Hence, employee performance monitoring is a breeze. Line 24 Software HRIS also features a comprehensive Recruiting module. This allows HR department to manage the process and phases of recruitment with ease. This module can also pool database of unhired human resource for future references. 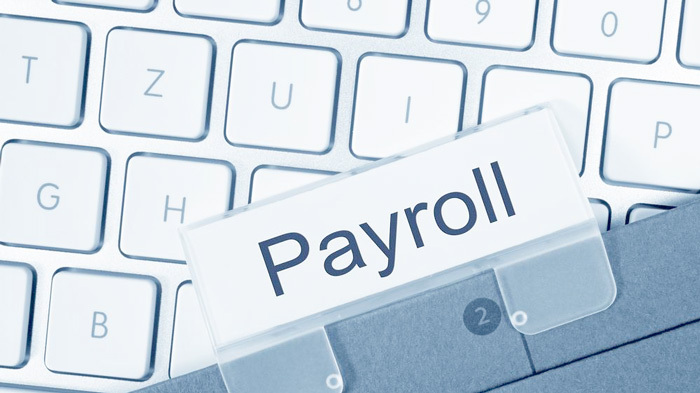 Line 24 Software HRIS / Payroll System offers a flexible mode when it comes to salary periods. Companies can go daily, weekly or the standard bi-monthly with still appropriate company and government duties at check. Generating accurate reports is a vital factor for management decision. Line 24 Software’s Payroll system can generate different pertinent reports from modules specified. The HR Metrics is also an important feature wherein the management can look into the company’s status which department it booms and struggles. This will greatly help management develop new strategies to improving the standing of the company. Employers can have the option to go eco-friendly and go paperless with online payslip. Line 24 Software also make it a point to be less excessive with paper when employers opt for the latter. Size of paper payslips are rendered as reasonable as possible. Line 24 Software’s Payroll System is highly capable of communicating with major bank’s system when Automated Teller Machine salary preference is opted. Line 24 Software’s strong attribute is its capability to walk through with its client. Line 24 Software being a custom software company allows its client to name its policies and parameters and from there on code to suit the client’s requirement. Hence, support comes in variety of levels. From consulting, bug fixes, incident on-site and online resolution, patches, updates and systems upgrade. We are more than happy to assist you with your software development needs. Call us at 0945 289 9263 or email us at line24software@gmail.com or visit our website at http://www.line24software.com for a free demonstration.